Relying on information gleaned from subjective reviews can represent a slide down a slippery slope. However, it is one thing to feel misguided in regard to a restaurant meal or a hotel stay, and an entirely more serious matter when you want to know what the latest HGH therapy reviews have been reporting. How can you know which reviews to trust and which to disregard? Obviously, you will need to rely on your own research skills and judgment when it comes to attributing credibility to the thousands of reviews from researchers, medical professionals and users of bio-identical human growth hormone injections. It will also help tremendously if you approach your research will an open mind to what you will be reading about the perceived pros and cons of treating adult-onset growth hormone deficiency. But overall, there are certain facts that you should go into your research knowing, because it will not only prevent you from wasting a lot of time – it will also help you to arrive at some clear and informed conclusions in regard to the medical use of human growth hormone replacement therapy. Fact number one is that it is currently illegal for anyone living in the US to purchase, possess or use HGH injections unless they possess a medical prescription for its use, with no exceptions. Fact two is that it is not safe for anyone to use these injections without medical authorization and ongoing supervision. And fact three is their medical use is intended to restore deficient hormone levels in patients, not to increase those levels excessively. So keep these facts in mind when you are perusing HGH therapy reviews from adults who are either using it illegally or not using it as directed by their doctors. If you plan to use injectable human growth hormone correctly, you should primarily want to know what people who are using it properly have to say about it. How Do You Know Which Reviews About HGH Use to Believe? The Internet has made it both easier and harder to check the credentials of the HGH therapy reviews that you will find online. Easier because never before in history have people had immediate digital access to such an incredibly immense and diverse volume of information; and harder because of the amount of time it requires to attempt to sort through that information. Yet there are some obvious sources for information pertaining to the use of human growth hormone injections that would be considered inherently trustworthy by most people. Going online, you can easily find information on the treatment of growth hormone deficiency in adults from prestigious medical experts and organizations both within the US and from around the world. Most people start with those; but even among the respected opinions of scientists and medical researchers affiliated with organizations such as Harvard Medical School; the Mayo Clinic; the AMA; and many more, you will find varying points of view in regard to the use of HGH therapy in adults. Ultimately, as in all decisions about your health care, you will have to decide what rings true to you and which opinions carry the most weight with you. The information is all right there online and it is continually being revised and updated. So make sure that you are not relying on outdated information on HGH therapy reviews by checking the publication dates, because the Internet does not automatically remove information and data that has become obsolete. And don’t forget that there is another very useful way to obtain accurate and timely information on using injectable human growth hormone and it is this one: Talk directly to the medical professionals who routinely prescribe this form of medical treatment for their patients. Go Beyond Reviews and Get Real Answers on Using HGH Treatment. Maybe what you really want even more than HGH therapy reviews is being able to get answers to your personal questions about using a growth hormone replacement program. Is there a way for you to do this that is even faster and easier than sifting through page after page of online reviews? Nexel Medical has seen to it that there is – and it’s a way that often gets overlooked in our digitally obsessed times. It’s called having a conversation with us. 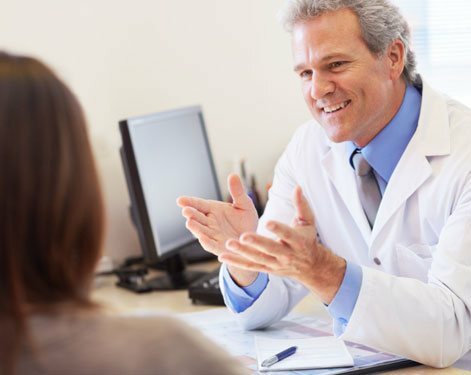 Our doctors are some of the most experienced medical providers of hormone replacement therapy in the US, and they are located all across the country. So you will be talking to the medical professionals who actually prescribe human growth hormone injections many times each and every day for adults who have been experiencing the same kinds of health depleting symptoms as yours. We don’t offer you theories about using HGH replacement therapy; we offer you real information that comes from years of safely and effectively treating real-life adult patients. You can be sure that whatever questions you might have about this particular type of medical hormone replacement, we have answered them before. 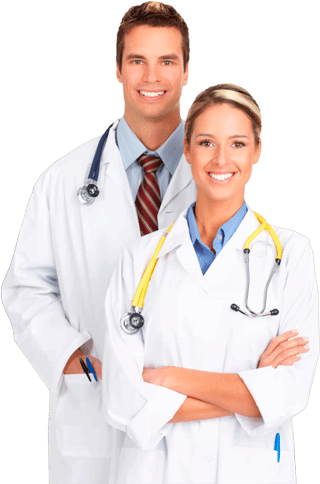 Our clinical advisors can explain anything you want to know about our treatment procedures; our professional credentials; our success rate; and our mission – which is to provide locally available medical treatment for adult-onset growth hormone and testosterone disorders to anyone in the US who requires it. But more importantly, we want to talk to you about you. Tell us about your symptoms … talk to us about your goals for using treatment … find out what the latest treatment options are, like the latest and most convenient delivery systems that are portable and virtually pain-free. At Nexel Medical, our advisors are here to talk about your own desires, concerns and requirements in regard to using a medically prescribed program of human growth hormone replacement therapy. So go ahead and read the reviews – and then talk to a real person about how to successfully eliminate your troubling growth hormone and/or testosterone deficiency symptoms. Because in the end, the review that matters most is your own.